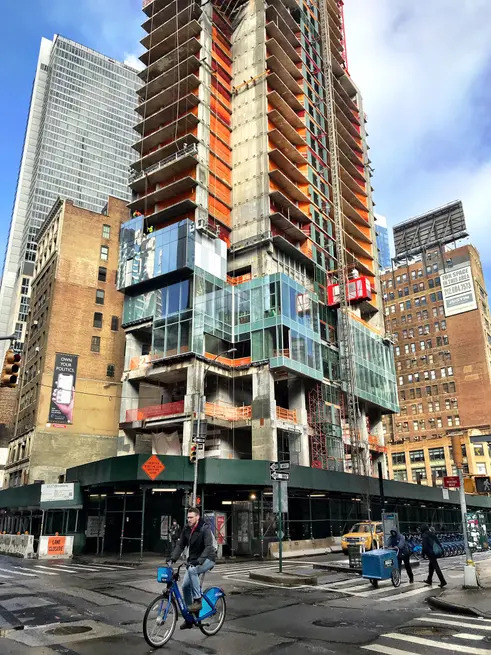 As NoMad flourishes as a hot spot for hospitality, dining, and nightlife, Sir Richard Branson's Virgin Group seeks to combine all three with a four-star Virgin Hotel at 1225 Broadway. 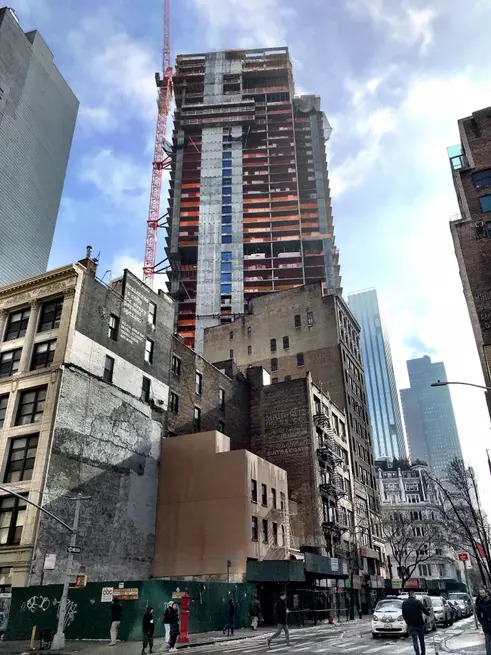 Construction just topped out on the 510-foot, 39-story building on the corner of West 30th Street. 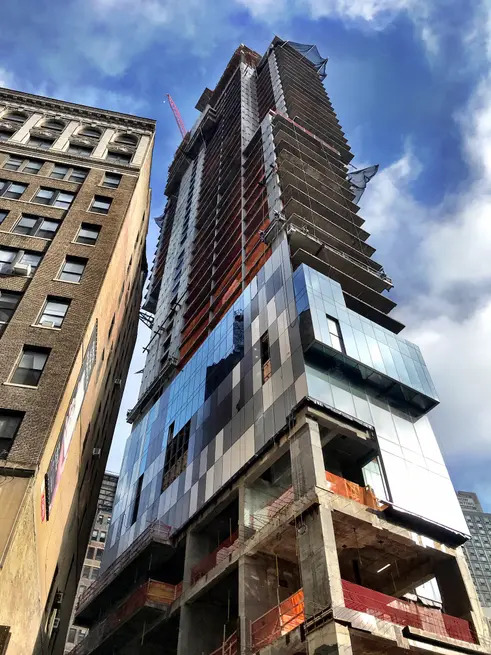 A contemporary glass facade is also on the way up on this high-rise, VOA Associates' first in New York. 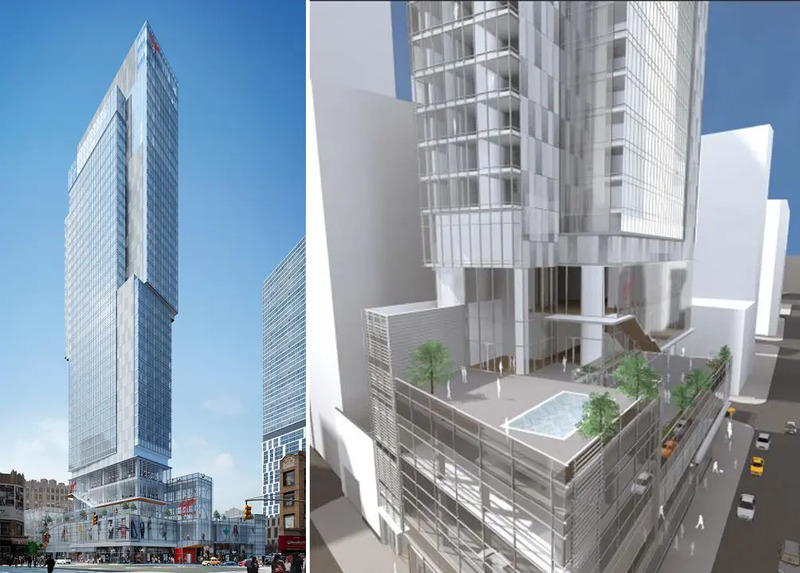 The venture is spearheaded by the prolific hotel developers of the Lam Group who picked up the site’s two pre-existing buildings for $72 million in August 2011. 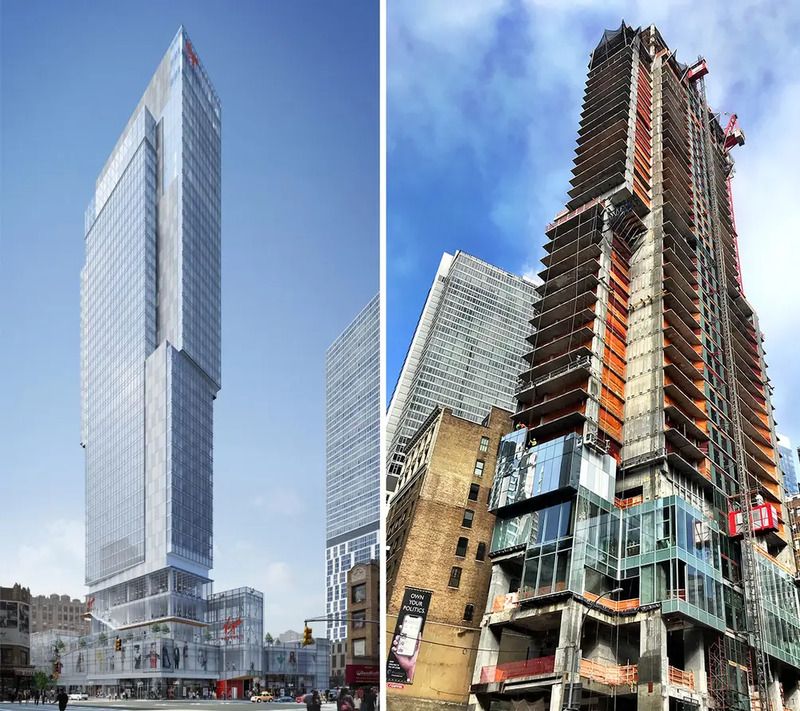 Upon completion, the Virgin Hotel will be one of the largest and tallest hotels south of Midtown. 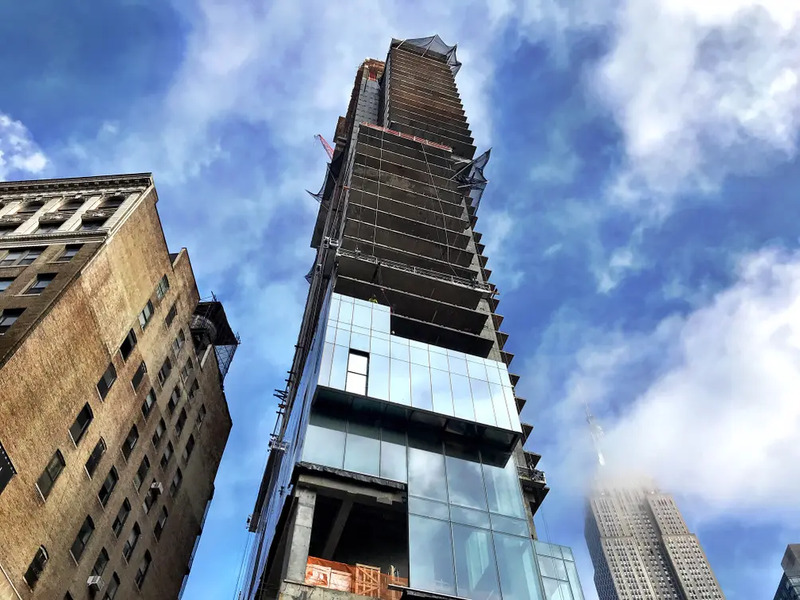 Its 465 rooms will rest on a glossy 90,000-square-foot podium stocked with dining and drinking establishments, outdoor terraces, meeting rooms, lounges and a fitness center. Swingers, an upscale indoor miniature golf course that serves cocktails and street food, has leased 22,000 square feet of retail space in the basement for its first American location (h/t Commercial Observer). 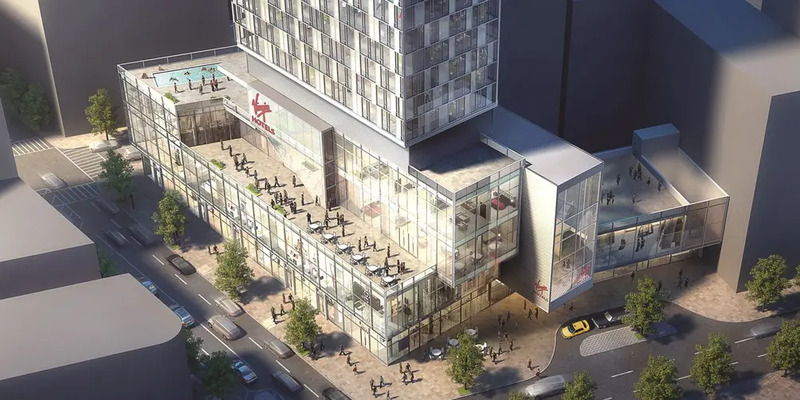 According to VOA, the new concept rooms will include large suites and two double-height “rockstar” suites. The uppermost floors will have a sky lobby club room with a private roof deck and banquet hall. 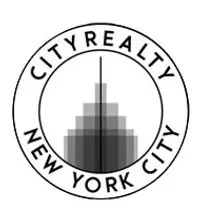 Views from mid- to upper-floors will be far-reaching to the south and the Empire State Building will be the highlight to the north. It is well on track for an anticipated 2020 opening. The tower’s relative solitude won’t last long, however. 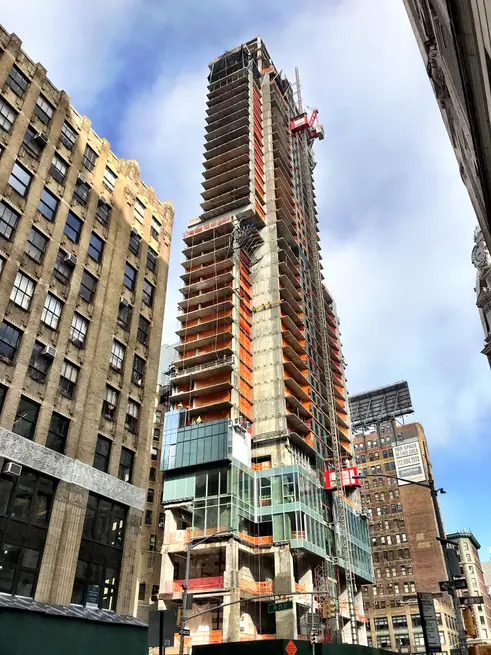 Along NoMad’s side streets, a multitude of residential towers are underway, including next-door neighbor The NOMA, where current availabilities start at $2.295 million. 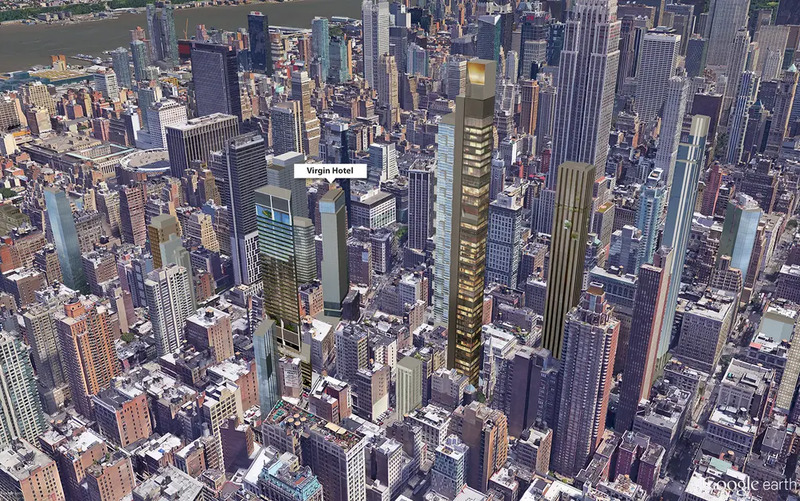 Directly behind it, the world's tallest modular hotel is readying for construction at 842 Sixth Avenue. 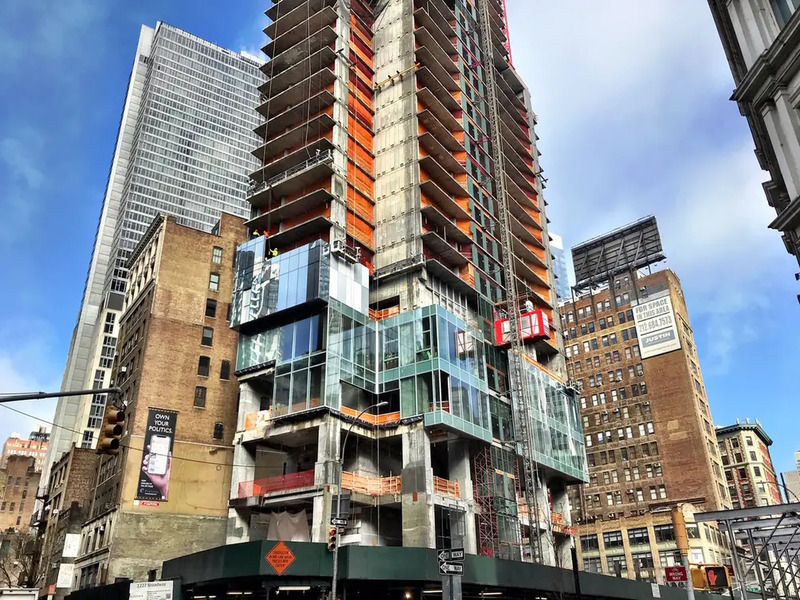 One block south, construction is in progress on a new Ritz Carlton Hotel.